By Dr Vincent van der Vinne, author of ‘Investing in Cars. 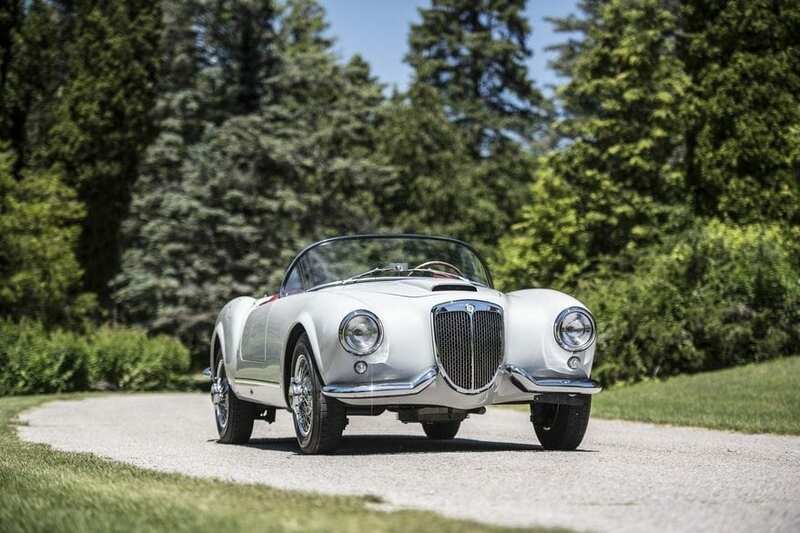 1995 Lancia Aurelia B24S Spider, auctioned by Bonhams at 18 August 2017. With the appearance of the fourth series of the Aurelia, the Spider was developed and presented at the Brussels Motor Show in January 1954. The sports car was designed by Francesco Martinengo for Pinin Farina. The Lancia Aurelia B24 Spider looked very sporty, with voluptuous sculpted lines. Characteristic features were the split bumpers at the front and back. Removable side screens could be placed aside, the doors were relatively small (with no external handles) and the interior was simple. The idea of the panoramic windscreen was derived from American cars (such a windscreen was used for instance on the 1953 Chevrolet Corvette), and the design of the bodywork is partly based on earlier designs by Pinin Farina, such as the Ferrari 212 Inter Coupe and Cabriolet. The sports car was, clearly, aimed at the US market. 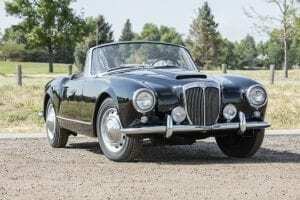 The Lancia Aurelia B24S Spider was expensive, costing $5,830. For comparison, an Aston Martin DB2/4 DHC cost $6,295 and a Jaguar XK140M Roadster cost $3,450. Only 240 Lancia Spiders were built in 1954-1955, 181 were left-hand drive and 59 were right-hand drive. 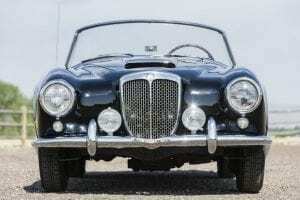 1958 Lancia Aurelia B24S Convertible, auctioned by Bonhams at 18 August 2017. In 1956 the Spider was replaced by the Convertible, which was produced until 1958. While the Spider was based technically on the fourth series Aurelia, the Convertibles was based on the fifth and sixth series. The Convertible was more comfortable than the Spider. Exterior differences include one-part bumpers, a different windscreen, wind-up side windows with front vent windows and larger doors with a lower entry level. The Convertible also had a soft-top that was easier to operate – all-in-all it was more practical to use than the Spider, although it weighed a little more. In total, 521 Convertibles were made, all of which were left-hand drive. The Lancia Aurelia B24 Spider is Mille Miglia eligible. This also applies to the Convertible, as long as it was built before December 31 1957, so both models offer the opportunity to participate in the famous rally, in which one can enjoy the Italian landscape in an open sports car. In the past 20 years there has been more interest for the Aurelia Spider than for the Convertible. In magazines articles about the cars, the most attention is usually given to the Spider, with an occasional small note about the Convertible. The difference in interest for these models (both of which are regularly offered at auction) has resulted in higher prices for the Spider. In August 2002, RM auctioned an Aurelia B24S Convertible for approximately £50,000. 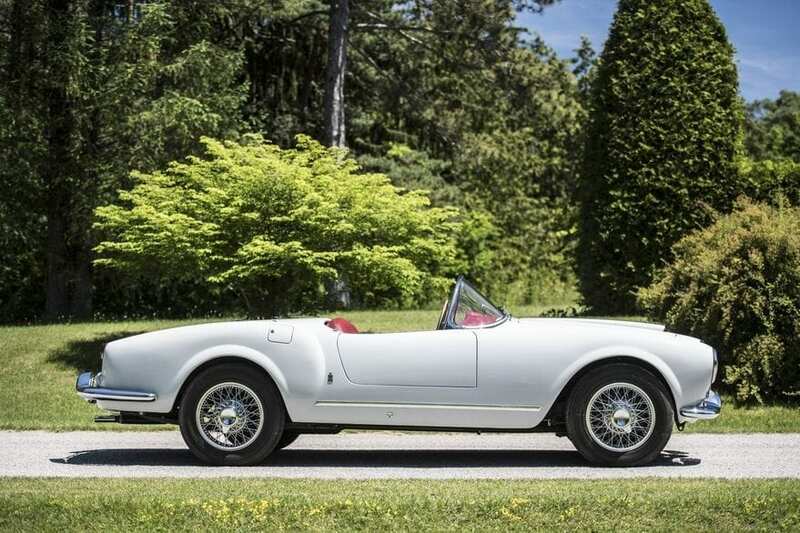 In the same year Bonhams had auctioned a Lancia Spider in May for more than £80,000. Until then a Spider was 40 to 50 per cent more expensive than a Convertible. But since that time, the difference in price increased. Every year for the last four years, over a million pounds was paid for a Spider at auction. 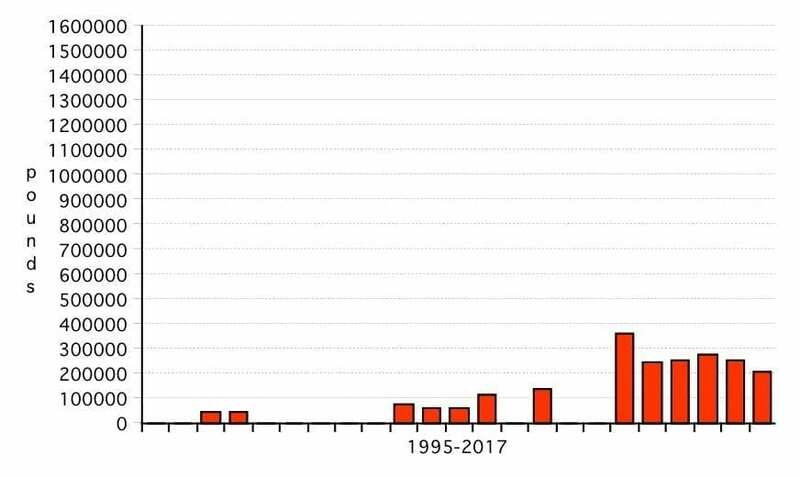 In August 2016, Gooding even sold a Spider for as much as one-and-a-half million pounds – the highest amount paid so far for a Spider at auction. More recently, in March 2017 RM Sotheby’s auctioned a Spider for £1.1 million. The prices of the Convertibles are in sharp contrast to this. In the last four years enthusiasts paid at most £255,000 for a Convertible. 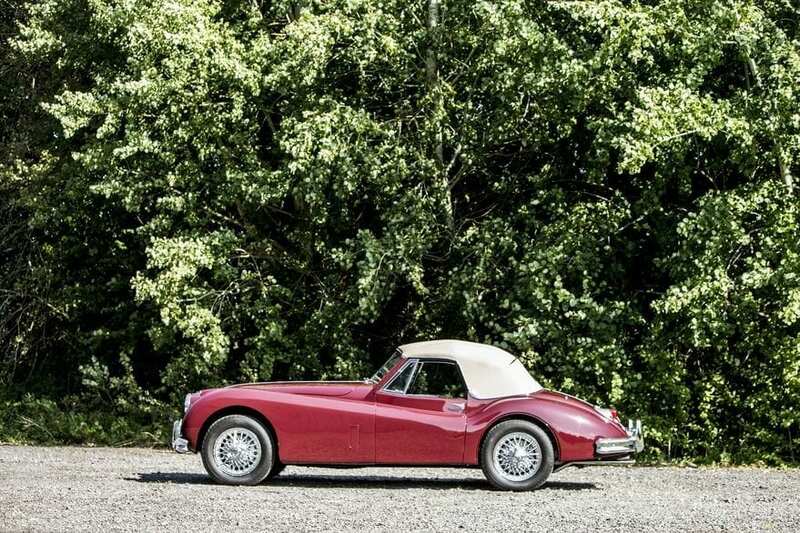 The highest amount ever paid at auction for a Convertible was £360,000. This car was auctioned by Gooding in August 2012. Instead of 40 to 50 percent, the Spider is now about 400 to 500 percent more expensive than a Convertible! The price developments are displayed in the bar graphs on this page. There are numerous reasons to account for the price differential between the Spider and Convertible. The Spider is a bit lighter and sportier. But on the other hand, the Convertible is more comfortable and has more elegant looks. The Spider was made in lower numbers, 240 versus 521 Convertibles. 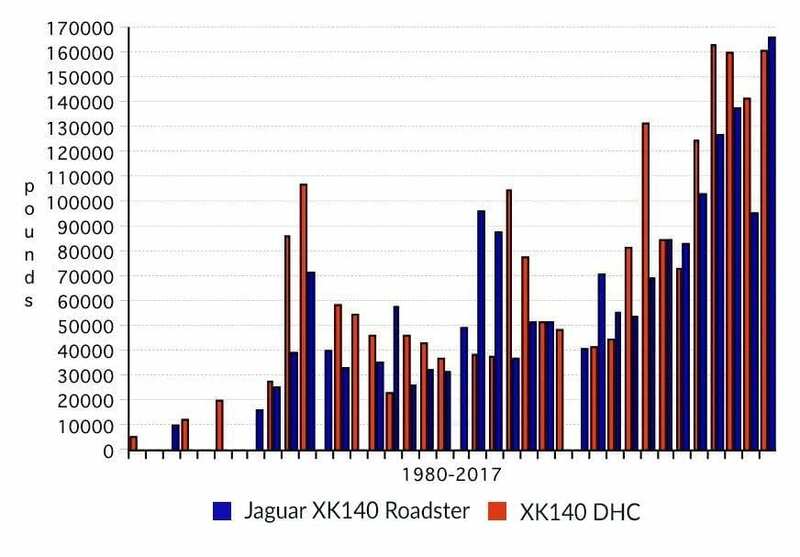 But let’s compare this to the Jaguar XK140 Roadster versus the more comfortable XK140 DHC. Between these two models there is not a very big difference in value. Also, the price difference between a Jaguar E-Type S1 Roadster and a Flat Floor Roadster, of which fewer copies were made, is less substantial. 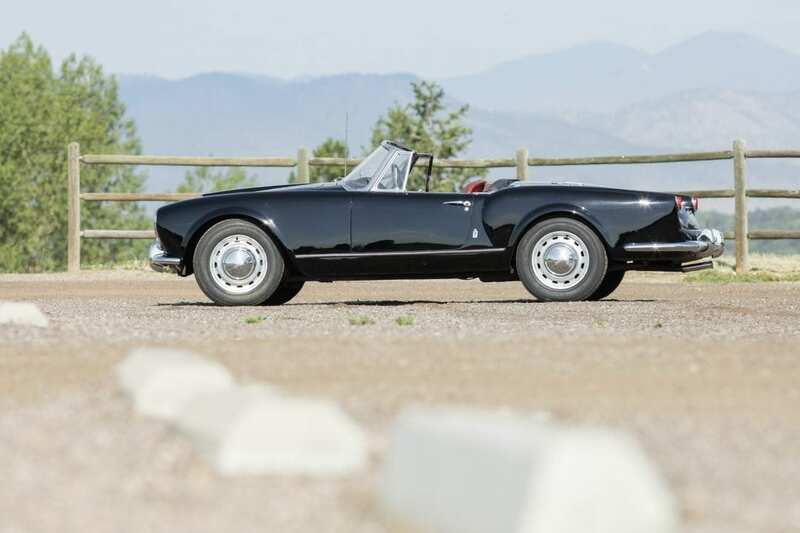 This leads to the question whether the difference in value between the Lancia Aurelia B24 Spider and the Convertible is too large and, if the difference in price is too large, is the Spider too costly or is the Convertible too cheap? 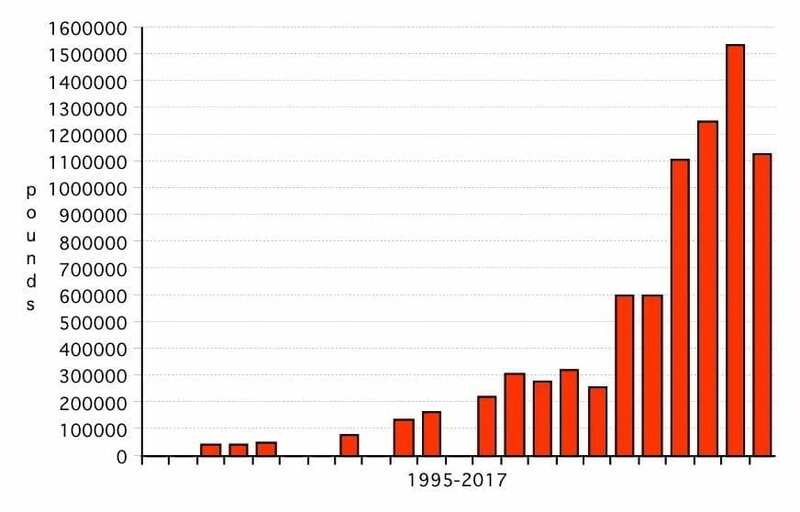 In regard to the price development of the Convertible – a slight increase in the value until 2012 and then a decrease – it seems that the Convertible is underappreciated with room for improvement. 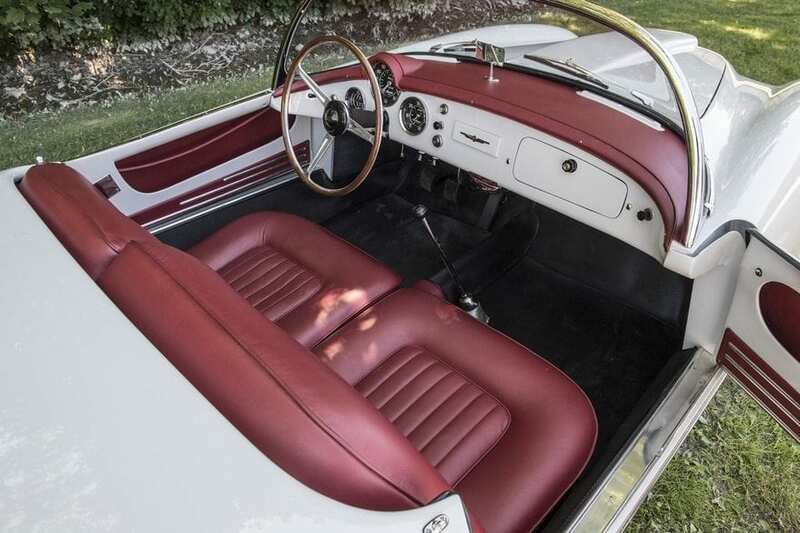 If you’d like a Lancia Aurelia B24 Spider of your own, Hexagon Classics currently have a rare right-hand drive model for sales, which can be viewed here.